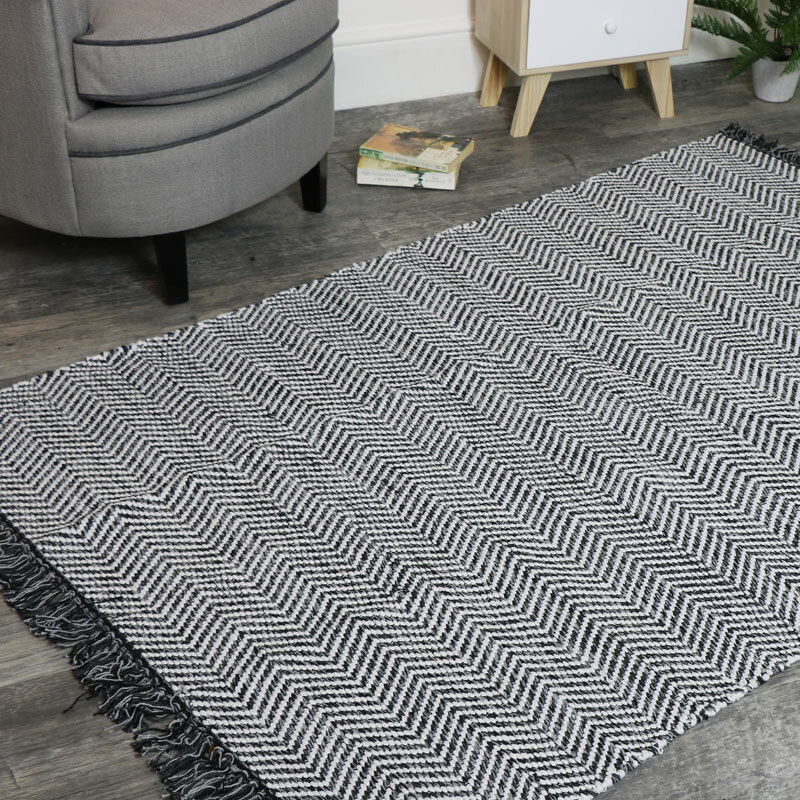 This gorgeous hand woven floor rug comes in a large size with a Herringbone weave in black and white with fringed ends. Ideal for the modern, contemporary and Scandi style home decor. Add a stylish look to your floor space with a minimalist monochrome look. The large 12cm x 180cm size will make a fantastic feature to the living room, hallway or bedroom. With more floor rugs and throws to choose from, this rug makes a charming and functional addition to any home. 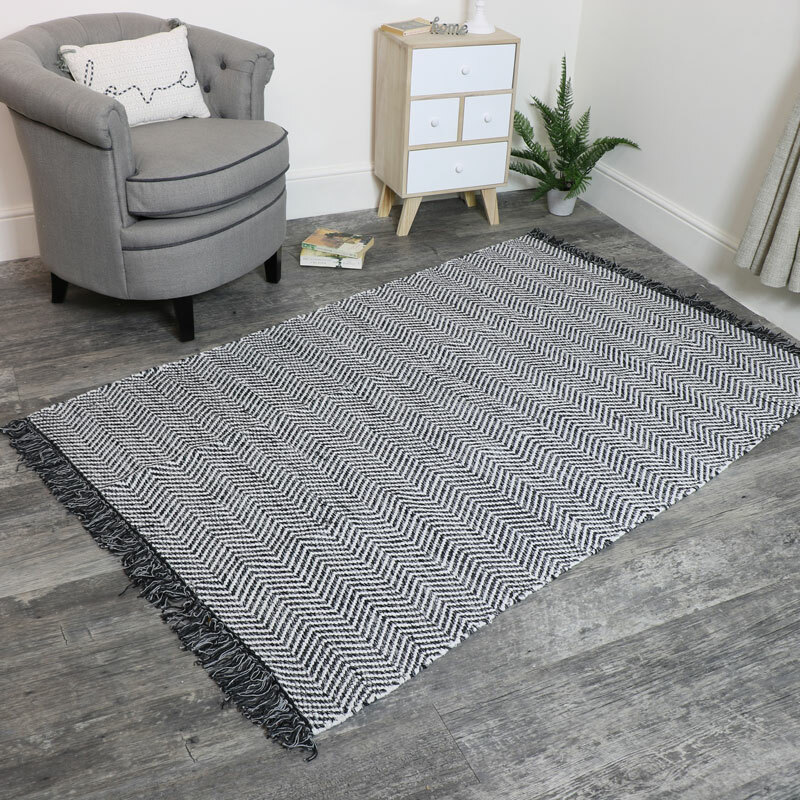 This gorgeous hand woven floor rug comes in a large size with a Herringbone weave in black and white with fringed ends. Ideal for the modern, contemporary and Scandi style home decor. Add a stylish look to your floor space with a minimalist monochrome look. The large 12cm x 180cm size will make a fantastic feature to the living room, hallway or bedroom. With more floor rugs and throws to choose from, this rug makes a charming and functional addition to any home. Made from polyester and cotton in a black and white finish. Rugs can be crucial finishing touches to your home and decor and we understand how important finding the right rug is! Whether your looking for BOHO, French chic or contemporary we will help you find the one for you. Head over to our 'Rugs' category.